"Yumerium" Decentralized gaming network powered by Blockchain. ICO LIVE. Yumerium is a project in which creators propose to make profit to each user who will play games, make reviews on them and invite friends via a referral link. The site is made in a fairly simple style, there is no multi-translation, but it is possible to download White Paper in several languages, which is undoubtedly a plus. 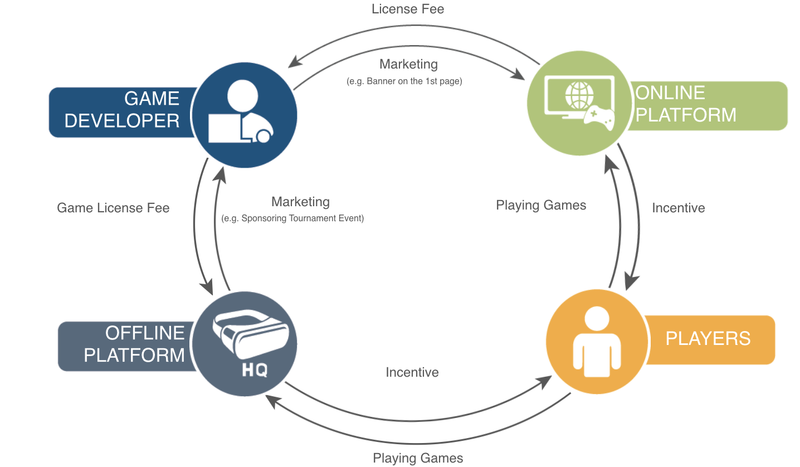 The project proposes to receive income for participation in games. In the early 2000s, games like World of Warcraft were paid. A person bought a license, additional keys, and bought the game itself. Since 2005, most of the games have become free. Now many players earn, playing professionally, there are various tournaments with big prizes. And gaming can now be called quite a serious business. The platform will be able to create reviews for popular sites, view advertising publications, attract new members. For all this active participation, users will be rewarded, while everything will be transparent, due to the technology of blockchain. The project team wants to remove third parties between gamers and developers. Transactions will pass directly into the Yum tokens, in the future Ethereum and Bitcoin will be added. Difference between Yumerium and other playgrounds. Absence of several payment options for games. High commission for money transfers. Lack of good protection against hacking. At the moment, a huge number of various gaming accounts are sold on Steam and Origin simply because these accounts are hacked and then sold with games already existing there. Centralization of the system, which means that management can pay attention to any user and blockchain his account for no particular reason. It sends a certain number of tokens to the platform. Under the terms of a smart contract, this game is returned. Plus is that the leadership does not have the opportunity to commit any deceptive actions, and the player does not have to wait, because in smart contracts everything happens instantly. • Developers have the opportunity to receive new users at the expense of a token, that is, to arrange various kinds of bonuses, referral fees, conduct airdrops and bounty campaigns. The main participant of the ecosystem is the token of this project, because everything will happen with his help. Also now you can see the games that will be available on this platform. The rating of the project is available on the ICObench, but so far only one expert has left his opinion, an estimate of 3.3 out of 5, and the product, as usual, is understated. In this case, this is a purely subjective opinion, therefore, it is not worthwhile to rely on it. In general, Yumerium is an interesting project, which will appeal to users engaged in gaming. Considering that the development of the project is planned for years ahead, investments in Yumerium can become a reliable contribution to the developing branch of the gaming industry.